As you all know that greenery is decreasing day by day around us and this is because of the urbanization. To get development this is very important, but we cannot sacrifice the natural beauty. People can book for flowers online too, to deliver fresh flowers at home, but it can be be more rewarding to take someone to flower gardens in your town. This natural beauty is very useful for us to feel lively and growth. Everyone enjoys the company of nature and also wants to capture it in the camera. Nowadays there is a trend of selfies and many of us love to take selfies with beautiful flowers and in the places that are covered with greenery. But due to the urbanization greenery is vanishing, but in many cities, you will find that there are some beautiful gardens that are maintained to preserve the beautiful flowers and tree. These beautiful gardens always fill us and our mind with happiness. When you go, there you relieve your stress and feel more lively. Nature’s company makes you feel growing and also these amazing colorful blooms soothe your eyes. There is a list of some sprawling beautiful gardens across India where you can enjoy and take selfies. You can keep this place on the top of the list if you want to visit the beautiful garden in India. Everything about this garden is special like their architecture, fountains and all the beautiful flowers in the garden have breathtaking beauty. Chashma Shahi, Nishant Bagh, and Shalimar Bagh are the parts of the Mughal gardens of Jammu and Kashmir. If you will visit them, then you will find that lawns in the garden are very well manicured and you can enjoy the grandeur of this rich kingdom. If we talk about the Mughals then they are always the part of our country’s great history. They were also known for their creativity and artistic taste. The beautiful flowers in the garden will surely soothe your eyes and also mesmerize your soul. These beautiful flowers include Carnation, aster, dahlia, marigold, pansy, daisy, and Nemesia. So, when you will visit there you can capture these beautiful flowers and view in your cameras. 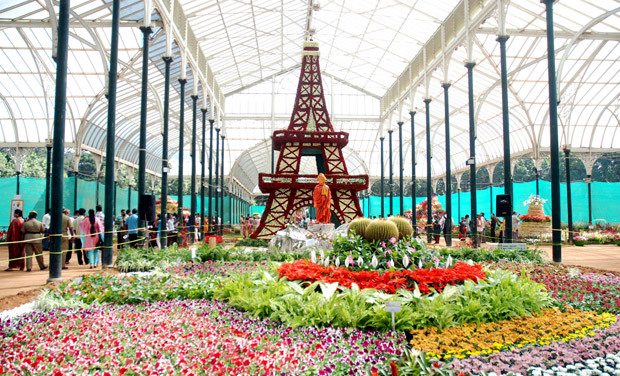 This beautiful Lal Bagh Botanical garden spread across 40 acres of land and you can consider it as a botanical garden. It is also known for its diversity. This beautiful garden is constructed by Hyder Ali, who was the father of Tipu Sultan. There is one interesting thing about this garden that in January and August they organize a flower show for all the nature lovers. So if you really enjoy the glamour of flowers then you should not miss the chance to go there. Lodhi garden is another place that has breathtaking beauty in Delhi. You can see the beauty in every inch of the garden. This beautiful garden was earlier known as the Willingdon Park but after independence, it got a new name that is Lodhi Garden. This garden spread in around 90 acres and if you really like natural beauty then you should visit this garden once in your life. Indira Gandhi Memorial Garden in Jammu and Kashmir can make you feel like you are in paradise. The interesting thing about this garden is that they are known for the Tulip flower that is rare in our country. This is the largest tulip garden in Asia continent and this magnanimous garden will surely mesmerize you. Here in this garden, you can also take the view of the Dal Lake. So, if you want to take the selfie with Tulips then you can visit this place and have the amazing experience. 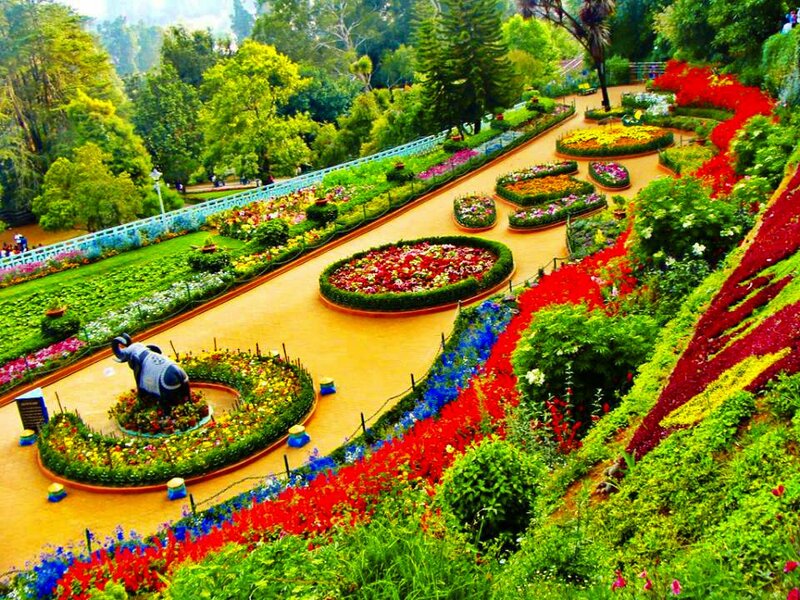 Government botanical garden, Ooty that is known for the collection of roses situated in Udamangalam in Tamil Nadu. You will find around 300 varieties of flowers here. With roses, you can also see species of many exotic plants, trees, shrubs and also bonsai tree. This garden spread in about 22 hectares. This garden is divided into 6 parts and every part is covered with different plants. Earth laughs through flowers and it is not possible to capture the real beauty with cameras but you can capture the memories for life.